You are not alone if you are designating your basement renovation to meet the requirements of a rentable space. Many homeowners see the benefits and the sweet monthly monetary returns, from taking this route with their un-used basement space. 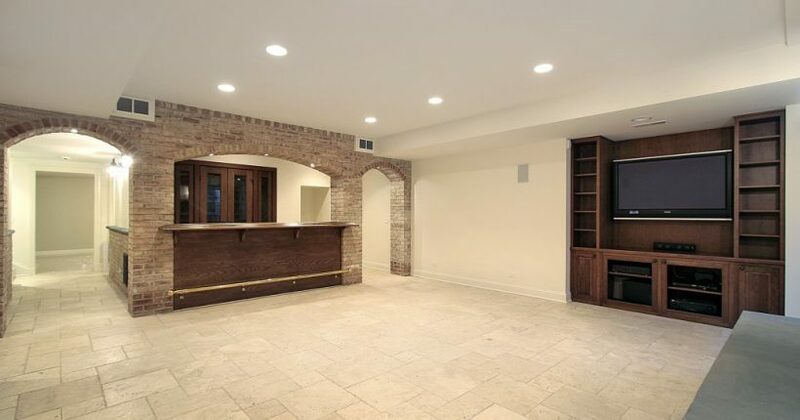 Your basement renovation (if you are smart, thrifty and hands-on) can come together in a timely manner and provide that ideal basement apartment wanted by qualified renters. When you are in the “design & materials stage” of your basement renovation, you should take into consideration your potential tenant’s head (ceiling height), shoulders (the width of your basement living space), knees (will they bang their knees when furniture is incorporated into the space?) and toes (flooring material and warmth). If you take these factors into consideration, then it is almost impossible to miss the mark when you are renovating and creating this new space. The ceiling height must be at least 7 ½ to 8 feet, this will accommodate a tenant that is over 6 feet tall and give the space a “mediocre apartment” kind of feeling, not a dimly-lit basement. The width of the space is also a key factor. When putting in the furniture of the tenant remember that the area should still have comfortable moving-around space (to avoid constant knee-banging on furniture). The chosen flooring should be adequate enough for those who wish to walk around with bare feet, as warmth and the ability to be comfortable is a major factor. No matter what seems to be trendy and how it changes frequently, an open-concept for a basement apartment is always hands-down, a winner for a rentable space. Leaving the unit open concept provides a “larger-looking” space as opposed to small, cramped rooms that create struggles for tenants (they are forced to place their belongings and furniture in certain spots due to the restrictions of walls). The bathroom should be the only closed-off space and, if creatively done (larger than a powder room), it will again give the illusion of a larger, standard-sized apartment, not a basement. Choose your décor (lighting & accessories) to be neutral and light colours…light colours again provide the illusion of a larger space and are more welcomed as cozy and friendly. This will aid you in keeping tenants in your rental unit for longer periods of time. If you’re looking for someone to turn your basement into a rental space then contact us for help!